Shaum/Sawm is one of The Five Pillars of Islam. Ramadan (a complete fasting), we do the fast for about 29 or 30 days in a row. It is the Holy Month for Muslims. Those twelve years old and above must complete their fast from dawn to sunset. I've started to teach my child to fast from the last two years when he was 6 years old, even he's just done his first fast for only a couple hours, at least he tried. There are many even as young as four or five are encouraged to fast for a few hours a day during Ramadan by their parents. 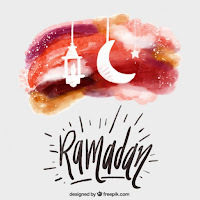 It's to begin appreciating the significance of the Holy month of Ramadan. Alhamdulillah, I'm very grateful, this Ramadan my son now is 8 years old and so excited about following Ramadan completely. 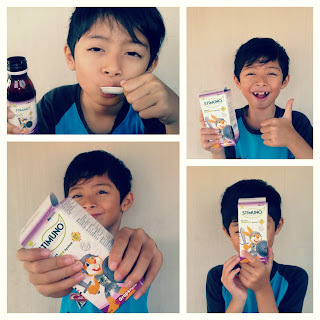 Vito's Ramadan activities quite diverse, ranging from school exams, pesantren, and other activities. So that I really need to maintain his condition and health during Ramadan. 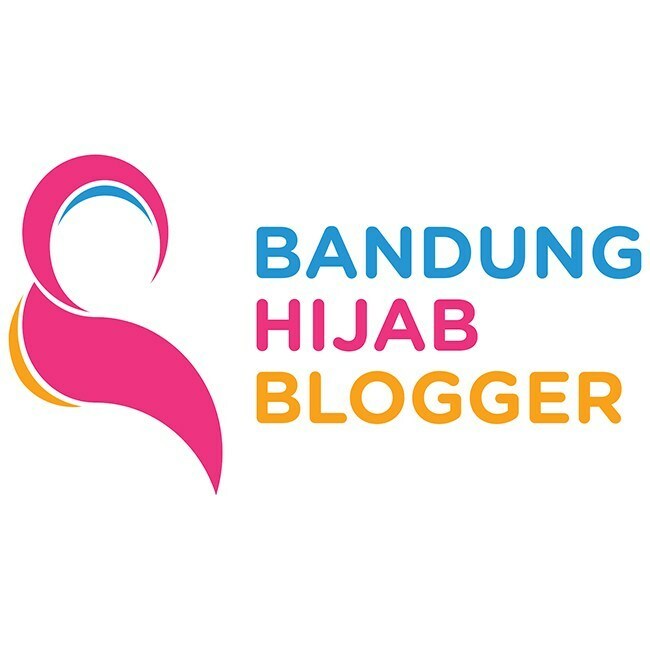 In this opportunity, I'm going to give some tips for children while fasting during Ramadan. They certainly must take a pre-fast meal (suhoor). This is an important meal. Keep their food intake which can serve to provide energy during fasting all day. The food menu that they have to eat is balanced and complete food, but not excessive. The food should contain complex carbohydrates, fruits and vegetables, proteins, milk and other dairy products, as well as food products containing sugar and fat are shouldn't excessive. Establish a sleeping schedule. It's important for your children to get around 8 to 10 hours of sleep every night and wake up in suhoor time. Create fun Ramadan activities for children. Ask your children to help you with meal preparations and let them choose a healthy favorite menu for their break fast time. Take some additional intake for your children. Let me tell you about Vito's Ramadan story which has a correlation with the last point above. 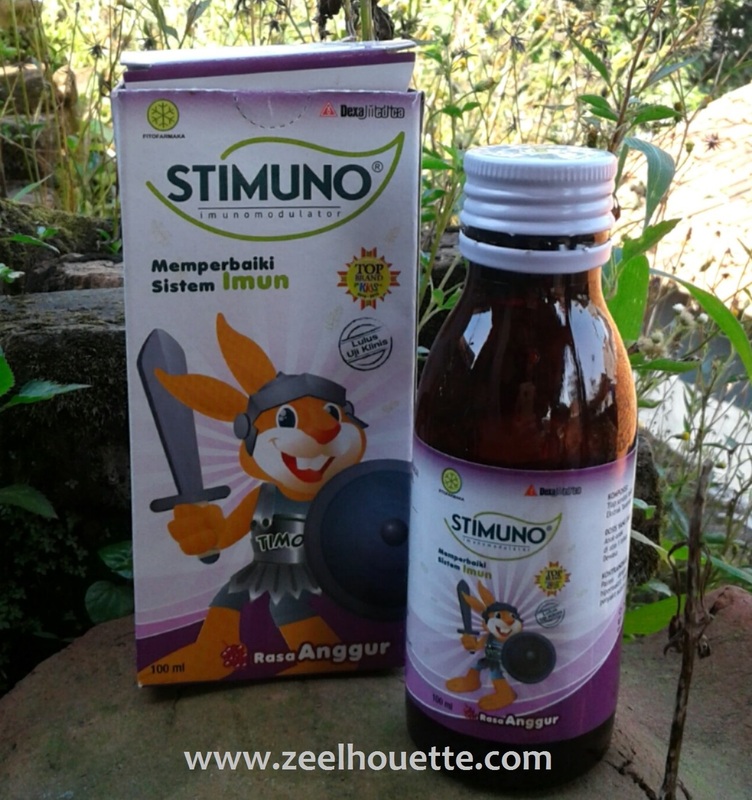 So, at the day-12 of Ramadan Vito got sick, and then my friend recommended Stimuno to strengthen the body's immune of my child. 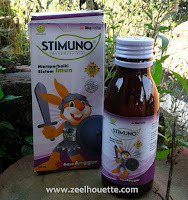 I also tried to get the further information about Stimuno from this link http://www.serbaherba.com/daya-tahan. It really helps me. Alhamdulillah, he's condition is getting better. The way to keep his body healthy now (cara menjaga kesehatan tubuh) is with consuming Stimuno. My friend said, "Zi, Minum Stimuno setiap hari untuk menjaga sistem imun anak". She asked me to give my son Stimuno everyday especially when his body gets dropped, it's good to restore the immune system. 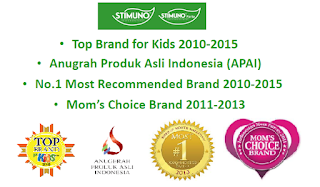 Why Stimuno is so good? It is not a multivitamin. It's a herbal supplement made from natural materials used to improve the body's immune system. It works by stimulating the body to produce more antibodies and increase the activity of the immune system to keep the immune system working optimal. Stimuno contains a single composition of meniran plant extract (Phyllanthus niruri). It's also has been (FITOFARMAKA) certified by BPOM which given to herbal products that have been through pre-clinic and clinic tests (sudah teruji klinis) so that the efficacy and safety is guaranteed. Hopely you could always be happy while ramadhan coming and keep spirit to doing the fasting. Aduh ini komennya mesti bahasa inggris juga ya? Tadi bacanya aja njelimet wkwkwkwk. Thank you. That's really good, Teh Herva. I do appreciate it. No need to worry about your composition, just go with the flow. Your English is nice. You only need to practice / read a little more. Thanks for stopping by, teh. Anakku juga minum stimuno,bagus buat daya tahan tubuh..